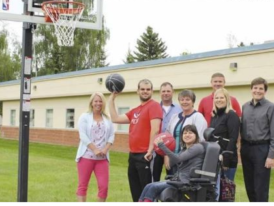 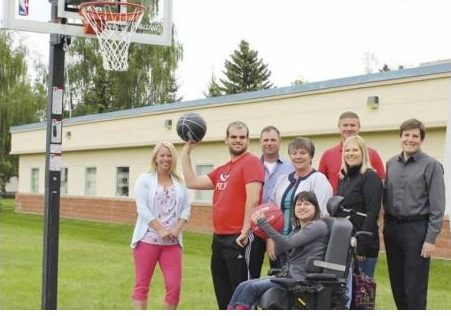 Every gift you give to the Camrose Association for Community Living helps transform the life of an individual; helping the people we serve to develop skills, build quality of life and become fully accepted and participating community members. 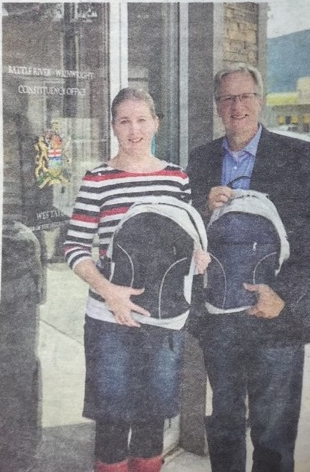 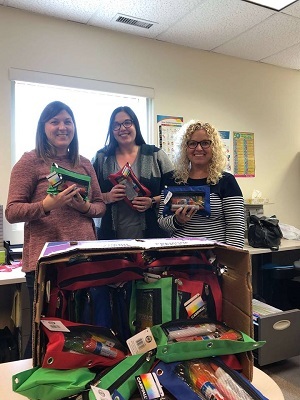 TIPS and Family Support received an incredible donation of 25 school supply starter packs from Superstore. 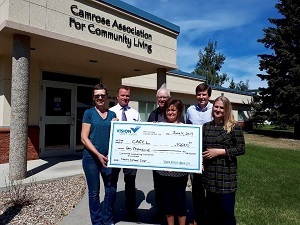 Superstore Camrose is a huge supporter of CAFCL and we are so grateful. 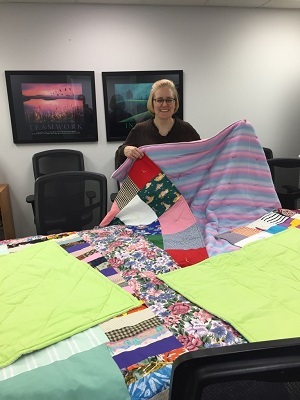 for making & donating 5 quilts and some receiving blankets for our TIPS program. 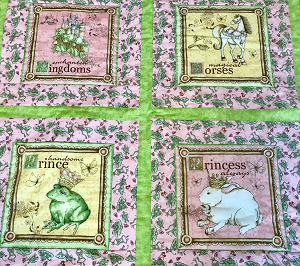 Little babes will be warm and cozy because of your gift. 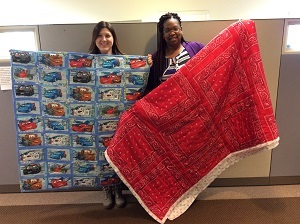 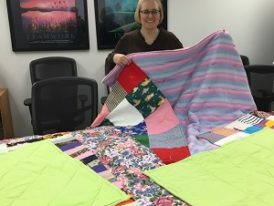 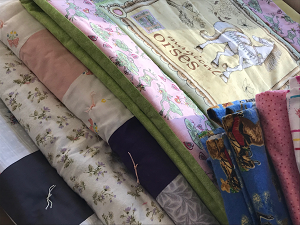 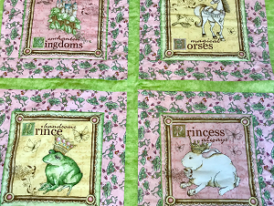 Thank you to Colleen Nelson for making these beautiful quilts for our Healthy Families (TIPS) program. 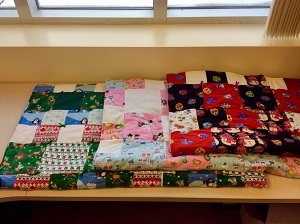 Czar Church Ladies donated beautiful quilts to our Healthy Families Program. 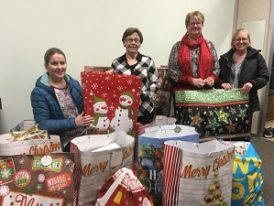 Cardinal Energy Wainwright donated approximately $3000 worth of gifts/essentials to our Healthy Families program this Christmas. 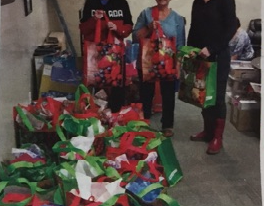 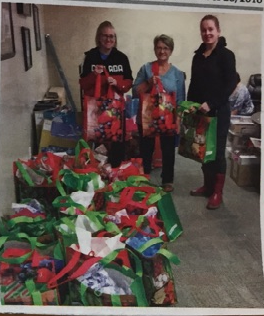 Wainwright Quota Club has purchased Christmas gifts for 16 families in need with the TIPS program. 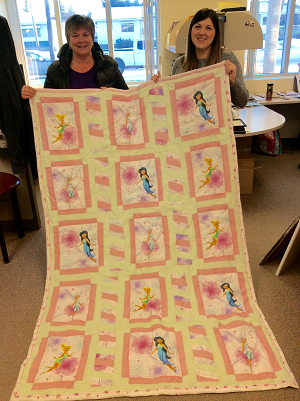 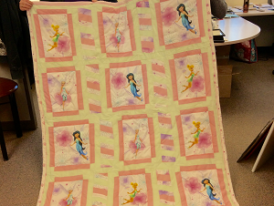 Thank you to Michelle Colombijn for making beautiful quilts for our Healthy Families Program. 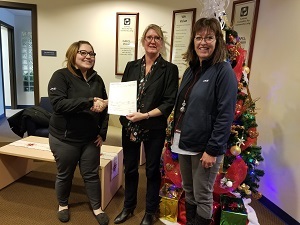 A big thank you to the Wainwright RBC who donated $1000 and some of their time towards the TIPS program in Wainwright. 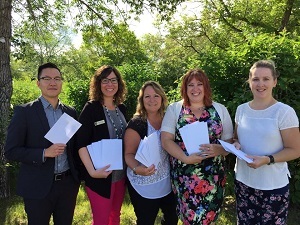 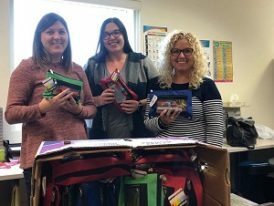 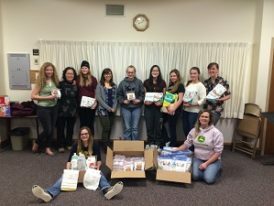 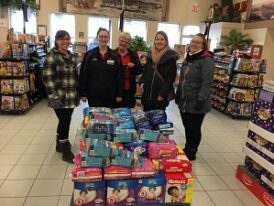 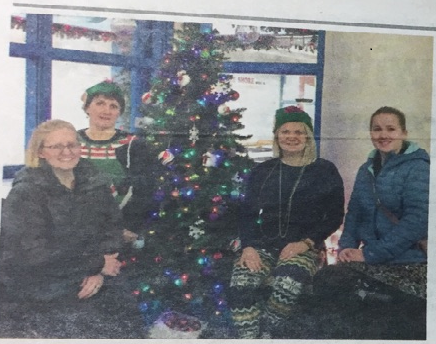 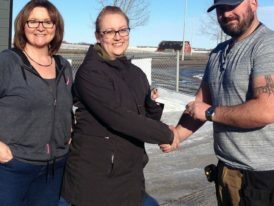 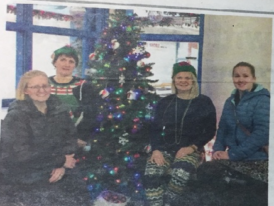 The TIPS program in Wainwright received a donation of $350 worth of gift cards from the Women’s Ministries Wainwright – Church of the Nazarene Wainwright. 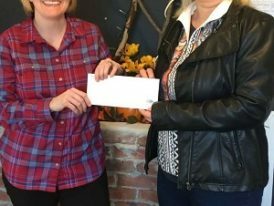 This money was raised from the group’s ladies event held Oct.17. 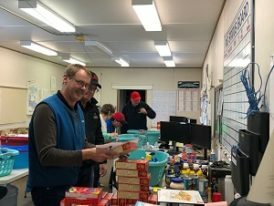 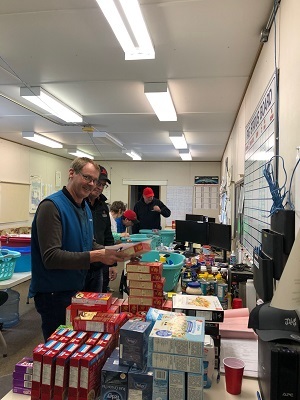 The money raised will go towards prenatal vitamins, breast feeding incentives and fruit, vegetables and milk for pregnant and breast feeding moms in TIPS Wainwright. 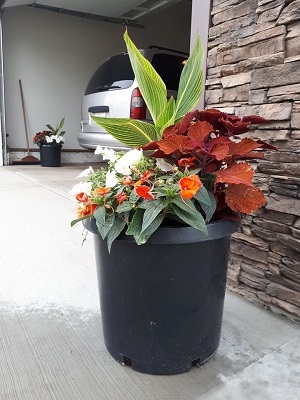 For many years Avonroy Gardens has donated plants for our residences and for the Burgess Building. 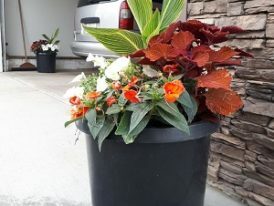 These flowers make such a difference to the appearance of our offices and residences and we are so grateful! 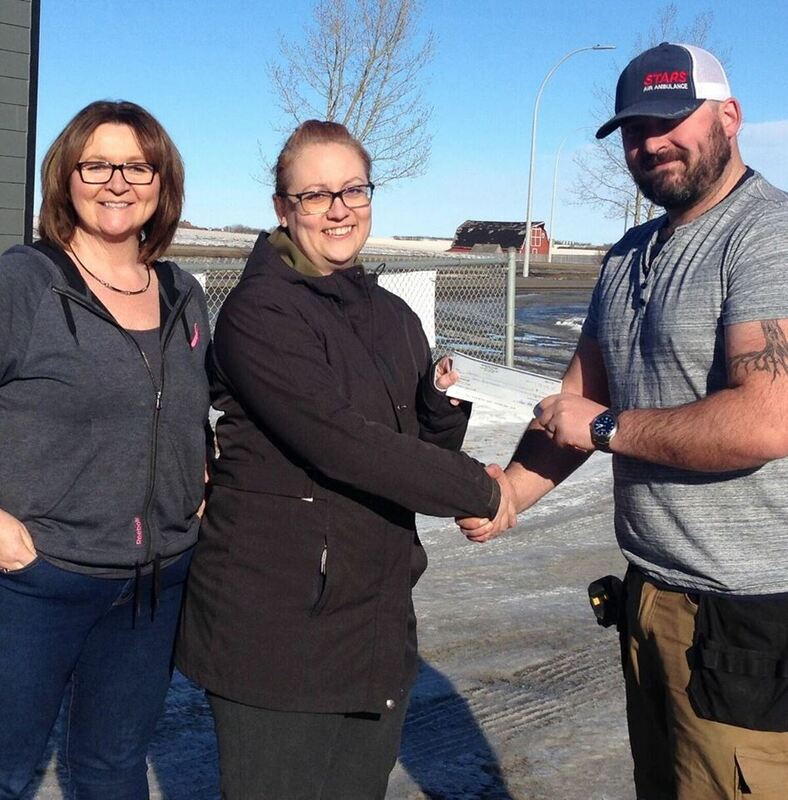 Thank you to Alex Huttges of Huttges Renovations & Contracting for donating $1000 to the TIPS program in Provost. 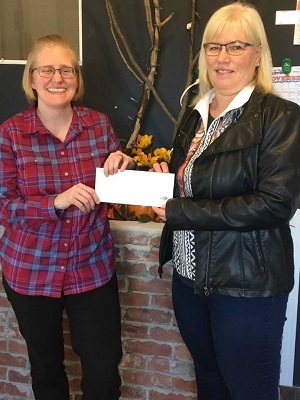 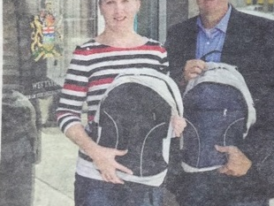 Kristin Matier & Sylvia Huttges accepted the cheque that will be used to purchase diapers and formula.